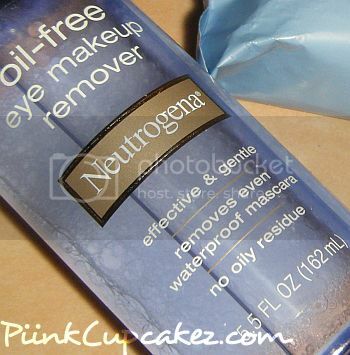 "Neutrogena Oil-Free Eye Makeup Remover takes off even waterproof eye makeup without leaving an oily residue. Forget harsh tugging and pulling. This ultra-gentle dual phase formula activates when shaken to remove all eye makeup--even waterproof mascara--without any greasy residue. It is ophthalmologist tested, safe for contact lens wearers and oil free. Take off all your eye makeup the gentle way." Available in 3.8 oz and 5.5 oz. This product is amazing! It removes my eye makeup effortlessly. I apply some onto a cotton pad and wipe it all away. Even though Neutrogena says it's oil free it still leaves your lids feeling greasy. I personally don't mind this at all since I always wash my face after I remove my eye makeup. I'm not too fond of the smell but if it works it works lol. This reminds me so much of Clinique's Take The Day Off makeup remover(love this!). They don't have all the same ingredients but they look, feel, and work exactly the same. What Neutrogena's missing is a safety cap. This would make it a lot less messy to travel with. The biggest(and best) difference is the price. 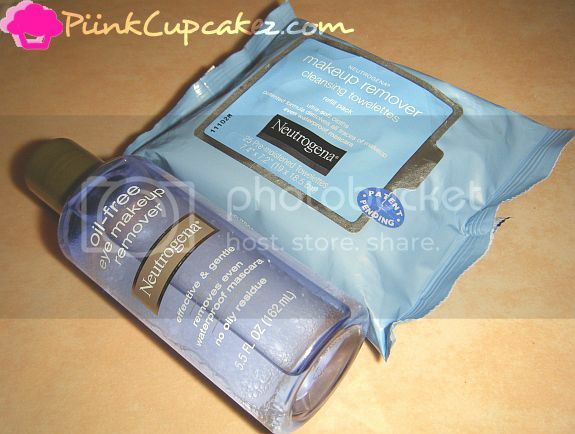 Cliniques makeup remover will cost you $18(4.2 oz) while Neutrogenas eye makeup remover is on sale right now at CVS for $5.99(5.5 oz) . Less than half the price and you're getting more product! It works exactly like the high end stuff and will keep a little extra money in your pocket. Clinique, I'm sorry but I think you have been replaced. "Taking off makeup everyday can be a hassle. Many removers do not fully remove product, leaving traces of makeup that can cause clogged pores and breakouts. 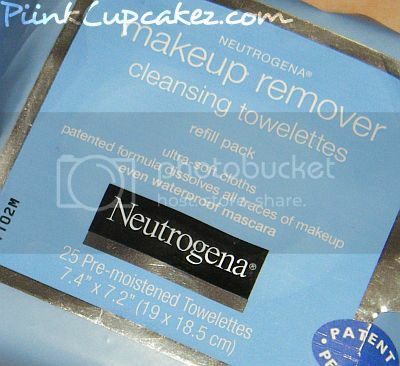 But with just one towelette, Neutrogena Makeup Removing Cleansing Towelettes remove 99.3% of all traces of dirt, oil, and makeup to reveal clean, fresh skin. It takes two competitor wipes to do what one Neutrogena wipe can. These gentle, ultra soft cloths contain superior cleansing technology so effective that it removes even waterproof mascara. Quick and easy to use, these wipes thoroughly cleanse skin with no heavy residue, so there's no need to rinse!" These makeup remover wipes are a must have! After a long night of partying, the last thing I want to think about is taking all that makeup off. These make everything sooo much easier. I usually use baby wipes on nights like these and it's such a pain to try and remove every last trace of makeup.These Neutrogena wipes remove everything! It all comes off so easily without any tugging or pulling. This is nothing compared to my completely done up face lol. I love that you don't have to rinse your face after using them. They smell good and left my face feeling nice and clean. 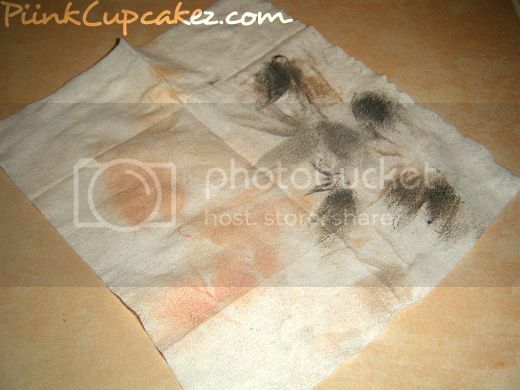 You may need more than 1 wipe(definitely no more than 2) depending on how much makeup you have caked on. What's your favorite makeup remover? Disclaimer: Products mentioned in this post were sent(free) by PR for review.